The human remains found in "The Cave with Bones", radiocarbon dated as being from circa 40,000 years ago, represent the oldest known Homo sapiens in Europe. The Neolithic-Age Cucuteni area in northeastern Romania was the western region of the earliest European civilization, known as the Cucuteni-Trypillian culture. Also the earliest known salt works in the world is at Poiana Slatinei, near the village of Lunca in Romania; it was first used in the early Neolithic, around 6050 BC, by the Starčevo culture, and later by the Cucuteni-Trypillian culture in the Pre-Cucuteni period. Evidence from this and other sites indicates that the Cucuteni-Trypillian culture extracted salt from salt-laden spring water through the process of briquetage. 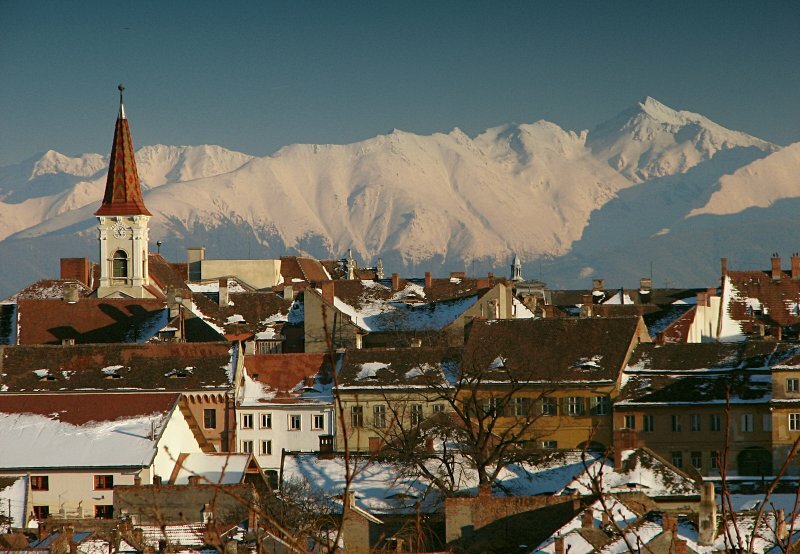 The largest of the Balkan countries, Romania has dramatic mountain scenery and a coastline on the Black Sea. It has seen numerous empires come and go from the Roman and Ottoman to the Austro-Hungarian. After World War II the country fell under Communist rule, although the leadership pursued a foreign policy independent of that of the Soviet Union. The legacy of Communist leader Nicolae Ceausescu lingered long after the uprising which brought about his downfall on Christmas Day 1989. A slower developer than other former communist countries of eastern Europe, Romania took a major step away from its past when it was one of seven countries to join Nato in late March 2004. In April 2005 Bucharest signed an EU accession treaty, paving the way for Romania eventually to join the union in January 2007. In the unique set-up of the European Union institutional structure, the Council of the European Union is the institution where the governments of the EU member States defend their own country’s national interests in the negotiation of the legislative and non-legislative files. The Council of the European Union is one of the seven institutions created by the European Union Treaties and, together with the European Parliament and the European Commission, it is involved in the drafting of the European legislation. While the other EU institutions are chaired by Presidents with multi-annual mandates, the Council of the European Union doesn’t have a permanent, single-person president and its Presidency rotates every 6 months. Every EU Member State has the obligation to hold in turn the Council Presidency and chair the its meetings at the ministerial, diplomatic and expert level. 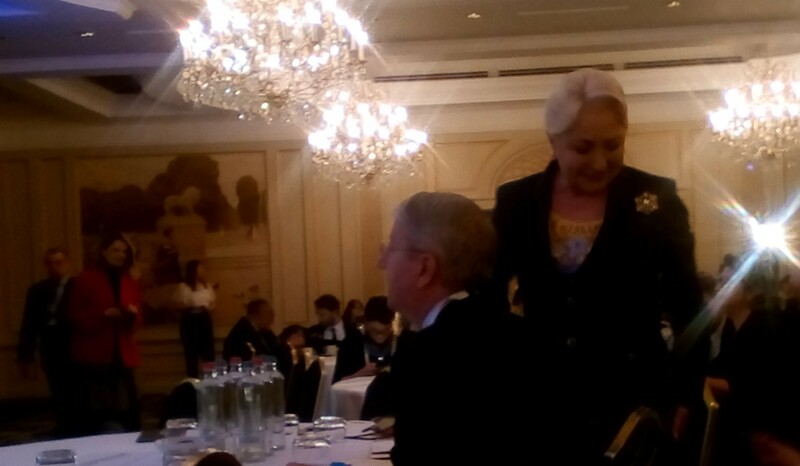 PM of Romania, V. Dăncilă speeched 21 March 2019 during an event taking place in a decisive moment from the perspective of at least three major political processes currently unfolding at European level: elections for the European Parliament, and later, transition to a new legislative and institutional cycle; Brexit and the developments generated by this process, yet marked by many uncertainties, as well as the reflection process on the future of the European project. There are ongoing talks on essential aspects for the Union – such as the post -2019 strategic Agenda, strengthening the Economic and Monetary Union, and the negotiations on the Multiannual Financial Framework. Thus, the Romanian Presidency of the EU Council has the chance to mark the reflection process on EU’s future, through the Summit to be hosted in Sibiu, considering that the only credible response to current questions on the future European architecture consists in strengthening the European project. I think that we should advocate a stronger, more effective Union, that although marked by Brexit, has the capacity to stand up and be confident following this challenge. Let us advocate for a Union of reaffirmed common trust, for restoring the the European citizens’s trust in the transforming force of the European project, for trust in the EU’s capacity to provide citizens with a secure environment, a dignified one for living, a prosperous and ambitious future, for trust in EU’s capacity to regain control on its own destiny, and to promote an effective and genuine leadership whose legitimacy derives from the aspirations and backing of European citizens, based on the real agenda of the citizens. We see in the European Union a guarantor of democracy, security, peace, well-being and progress. This is the raison d'être of the European project, which has not lost its relevance for the Member States and European citizens over time, and which we have to keep in mind in order to restore our confidence in today's Union. The European Union is the "guardian" of the European model of life, which, by its force of attraction, continues to represent, globally, our most valuable asset, and which, through its transforming force, has initiated major structural changes in the Member States, in the aspiring states, in the neighborhood, but also in remote parts of the world. On the other hand, the European Union has faced in recent years a series of imbalances that have led to weakening people's trust in the European project and in its ability and in our ability to find the best solutions for prosperity, security and social justice. Among these imbalances, the migration crisis played a major role, generating tensions at European level, which in turn led to the development of xenophobic trends, euroscepticism, populism, and radical political trends. I would like to also mention the issue of the deficit of trust, considered against the background of the external interference phenomenon in our electoral processes unfolding, both European and at the level of the Member States, as well as in the context of increased propagation of fake news and disinformation. 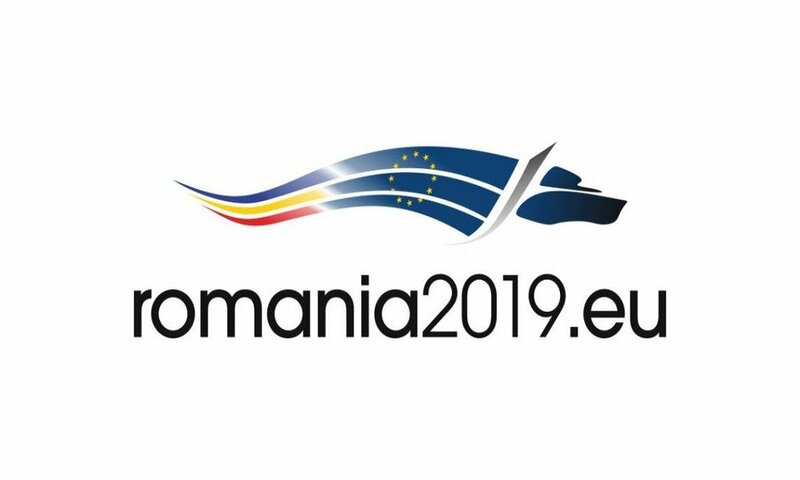 Romania, as Presidency-in-Office of the Council of the European Union, has made efforts since the first days of mandate to combat this challenge, which has been intensively debated in all European institutions. As a result of these efforts, the General Affairs Council succeeded in adopting important conclusions on ensuring free and fair elections, with a focus on combating disinformation. In order to build citizens' trust in the European Union, we need to create an European area of genuine communication, free of any interference. At present, we are all convinced that the European project needs a new impetus, vision of the future, based on this common vision of long-term solutions. Romania, as the Presidency-in-Office of the Council of the European Union, has the responsibility but also the chance to actively participate in formulating this vision of EU future. The debate on EU’s future is an opportunity to enhance European inclusion and cohesion, in order that all member states may find themselves in this construction. A solid construction for a future Europe should besides the principle of cohesion, offer the possibility of expressing individual diversity and specificity, which, brought together, should create a harmonious, homogenous and coherent project. The accepted meaning of the cohesion concept was transposed in a transversal manner within our thematic priorities. It also reflects in our perception on the global role of the European Union. The continuation of the enlargement policy, observance of EU commitments in its southern and eastern neighborhoods, promotion of the multilateral system based on rules, maintaining a solid transatlantic partnership are in Romania’s view, central elements for designing a better future for Europe. Ladies and gentlemen, As we are at the end of the legislative cycle, we plan in the first part of the mandate of our presidency, to focus on advancing the current European agenda, especially on legislative drafts that are almost completed or in an advanced negotiation stage at the level of the Council or the European Parliament. Since the start of the presidency, we have managed alongside the other member states and in cooperation with the other European institutions, to conclude the negotiations on 81 legislative dossiers, many of them with major impact at European level, with impact on the life of the citizens. I would only mention some of them, respectively in the energy field: Natural Gas Directive, in the field of the single market: The Directive on Copyright in the Digital Single Market, in the labor field- Regulation establishing a European Labour Authority. Significant results have also been achieved in the banking area: respectively the Banking Package, the Legislative Package on the Capital Markets Union, in the IT area: the regulation package on the interoperability of the EU’s information systems, in the political area: amendments to the legislation on the status and funding of political parties and foundations; Council’s conclusions on ensuring free and fair elections with a focus on combating disinformation, and also in the field of research and innovation, - the Council’s conclusions on artificial intelligence. Through the efforts made and the results achieved so far, we can demonstrate that our presidency is a presidency of efficiency and quality which, in close collaboration with the other member states and with all European institutions, delivers in a consensual manner, the awaited results, desired and useful results for the member states, the citizens and the business environment. The confidence in such concrete results, achieved in a manner designed to unite us at European level, represents a solid ground on which to build the path to Sibiu (Summit)agenda which would lead us to a better Europe in the future, closer to its citizens. I hope that today’s debate, your opinions, recommendations are found in the project of the European future. I would like to thank you and wish you greater success on today’s discussions! Europe of convergence: taking forward the negotiation process on the 2021-2027 Multiannual Financial Framework | developing the EU social dimension, through the enforcement of the European Pillar of Social Rights | advancing the EU agenda in the economic and financial fields, in order to stimulate growth and investment, to deepen the Economic and Monetary Union, as well as to support structural reforms | promoting research and innovation, digitalization and connectivity, in order to increase the competitiveness of the European economy and industry. A safer Europe: strengthening the internal security, by boosting cooperation among Member States and increasing the interoperability of the EU security systems, protecting the safety of the citizens, companies and public institutions in the cyberspace and improving the overall resilience of the Union to cyber-attacks | continuing the fight against terrorism | facilitating the operationalization of the European Public Prosecutor’s Office | giving further attention to migration issues, based on a comprehensive approach to action within the EU and on promoting cooperation with countries of origin and transit, as well as facilitating the dialogue among Member States with a view to finding solutions for an effective and sustainable EU migration and asylum policy. Europe, as a stronger global actor: promoting the strengthening of EU’s defence and security capabilities in strong connection with the similar processes within NATO, with a special emphasis on consolidating the Strategic EU-NATO Partnership | supporting further development of actions in the field of Common Security and Defence Policy, mainly by consolidating the current mechanisms while ensuring the synergy of the new instruments, such as: Coordinated Annual Review on Defence, European Defence Fund, and Permanent Structured Cooperation | advancing the enlargement process of the EU in order to ensure more internal and external security | promoting coordinated and coherent actions in the EU’s neighbourhood, while celebrating 10 years since the launch of the Eastern Partnership, through reaffirming the importance of the Black Sea on EU agenda, including from the perspective of reinvigorating the Black Sea Synergy | promoting the European commercial interests through both the consolidation of multilateralism and the modernisation of the multilateral trade system and through the enlargement of the Economic and Free Trade Partnership Agreements. Europe of common values: promoting the efficient countering of racism, intolerance, xenophobia, populism, antisemitism and discouraging hate speech | promoting the countering of online misinformation and fake news through better media literacy and the development of European mechanisms to share good practices in countering misinformation | promoting and supporting the legislative initiatives focusing on social progress and reducing development gaps, equal opportunities between men and women,as well as ensuring access to education and training for disadvantaged categories | countering gender discrimination in the labour market and business environment as well as the pay gaps between men and women. Romanian politics, EPIN Commentary 29 August 2012. Romania was on a good trajectory to meet the European standards in democracy. This process began before the country’s accession to the EU in 2007 and has continued since thanks to the Cooperation and Verification Mechanism (CVM). The recent political turmoil has put in danger this trajectory. 2012 will continue to remain a very difficult year for Romania, economically and politically, especially in light of the referendum’s result invalidating the suspension of the President and the upcoming parliamentary elections due to take place at the end of this year. Now is time to restore the process of strengthening Romania’s democratic institutions and rule of law. There are important roles to be played in this process both by the Romanian political class and the European institutions.